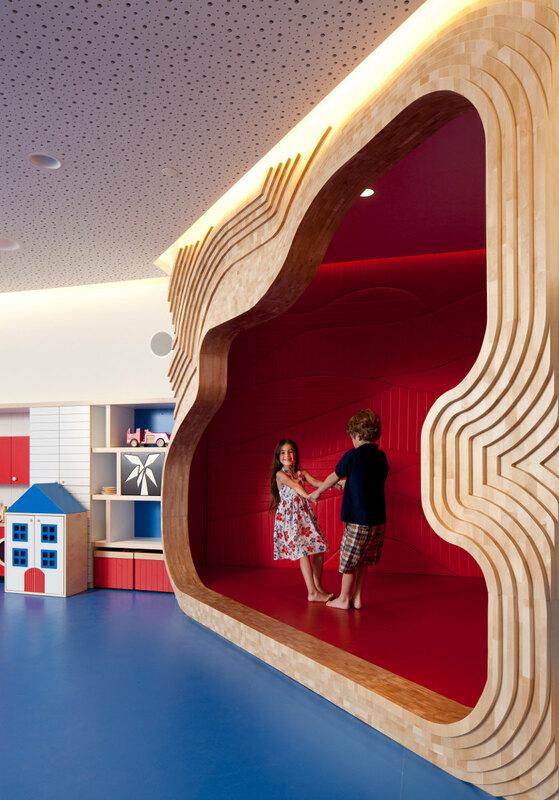 The activity and play space in Jerusalem’s David Citadel Hotel is intended to provide a creative solution for hotel guests and their children. 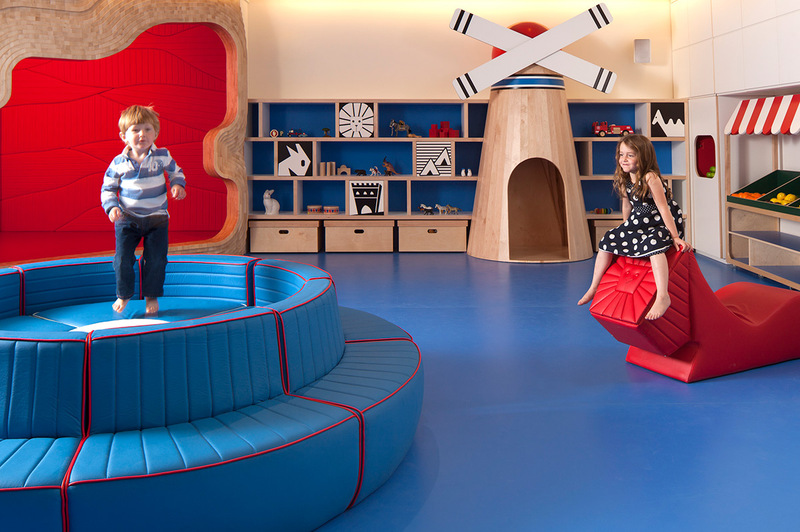 The design of this 100 m² modern playroom incorporates traditional iconic Jerusalem motifs, such as a windmill, cave, and the famous, Mahane Yehuda Market, providing children the opportunity to have fun and explore. In addition, the emblem of Jerusalem, the lion, is a recurring motif throughout the space. 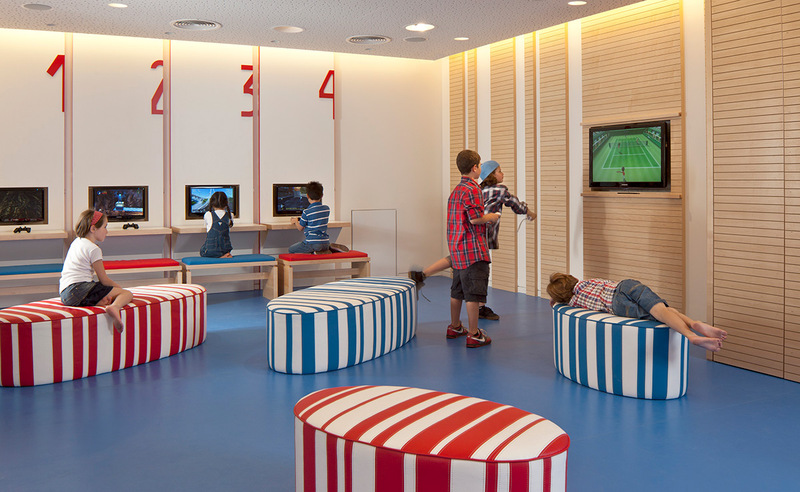 Mobile acoustic partitions divide the space into two separate areas. Although one space is intended for teenagers, characterized by more formalistic lines, both spaces have a uniform design language and similar color scheme that preserves the harmony. Variously sized islands float on the floor: soft ottomans with hand-sewn stitching intended for rest. The design project was meticulously conceived with great care and imagination to make the guests stay at the hotel an unforgettable experience.